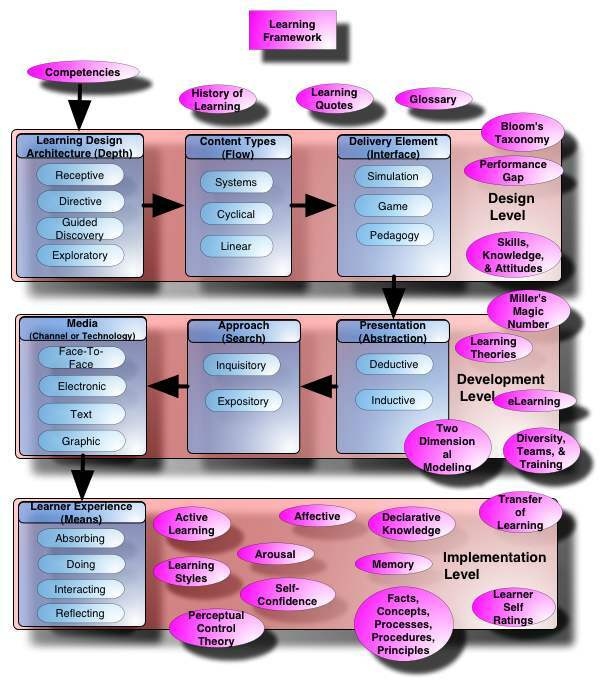 For more concepts on learning, click on the above concept map. Goal Specification — Its job is to help to determine when the goal has been completed. Note that it does not decide to engage in a goal as that is the function of the self-system. Process Specification — Identifies and activates the skills, tactics, and process used to accomplish a goal. Process Monitoring — Monitors the effectiveness of skills, tactics, and process used to accomplish a goal. Disposition Monitoring — Monitors how one approaches a task. Throughout the above processes, the metacognitive system is continually interacting with the cognitive system from the start of the task to its end. Metacognition is another important aspect of learning (Brown, 1978; Flavell, Wellman, 1977). The importance of prior knowledge in determining performance, crucial to adults as well as children, includes knowledge about learning, knowledge of their own learning strengths and weaknesses, and the demands of the learning task at hand. Metacognition also includes self-regulation — the ability to orchestrate one's learning: to plan, monitor success, and correct errors when appropriate — all are necessary for effective intentional learning (Bereiter, Scardamalia, 1985). Metacognition also refers to the ability to reflect on one's performance. Whereas self-regulation may appear quite early, reflection appears to be late developing. If children lack insight to their own learning abilities, they can hardly be expected to plan or self-regulate efficiently. But metacognition does not emerge full-blown in late childhood in some "now you have it, now you don't" manner. The evidence suggests that, like other forms of learning, metacognition develops gradually and is as dependent on knowledge as experience. It is difficult to engage in self-regulation and reflection in areas that one does not understand. However, on topics that children know, primitive forms of self-regulation and reflection appear early (Brown, DeLoache, 1978). Bereiter, C., Scardamalia, M. (1985). 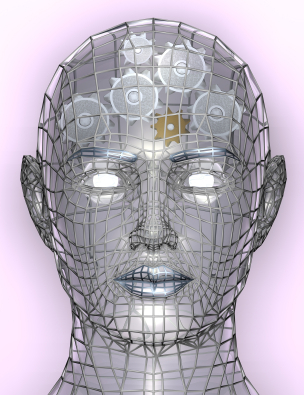 Cognitive coping strategies and the problem of inert knowledge. Thinking and learning skills, Chipman, Segal, Glaser (eds.),Vol. 2. Research and open questions (pp. 65-80). Hillsdale, NJ: Lawrence Erlbaum Associates. Brown, A., DeLoache, J.S. (1978). Skills, plans and self-regulation. Children's Thinking: What Develops? Siegler (ed. ), (pp. 3-35). Hillsdale, NJ: Lawrence Erlbaum Associates, Inc.
Flavell, J.H., Wellman, H.M. (1977). Metamemory. Perspectives on the Development of Memory and Cognition, Kail, Hagen (eds.). Hillsdale, NJ: Erlbaum. Schank, R. C., & Abelson, R. (1977). Scripts, plans, goals and understanding. Hillsdale, NJ: Erlbaum. Updated May 9, 2014. Created May 29, 2000.